AUSTIN, Texas – Austin and Travis County officials, business leaders and fitness enthusiasts on April 1 encouraged the community to embrace healthy living by stepping up and stepping out as part of the global Million Mile Month challenge. Austin Mayor Steve Adler, Travis County Judge Sarah Eckhardt, Austin Technology Council CEO Amber Gunst, Brock B. Purslow, vice president of sales with Humana, Amy Foster, nutrition coordinator with the Texas Beef Council and representatives from USAFIT Austin and Fleet Feet Austin gathered at Austin City Hall to encourage the community to get moving as part of Million Mile Month throughout the month of April. HealthCode’s Million Mile Month is a wellness challenge in which participants track their physical activity – from walking to running to cycling to swimming to yoga – with a goal of accomplishing a collective 1 million miles as a global community throughout the month of April. Whether it is an employer fostering a culture of wellness or an individual wanting to stay healthy and motivated, the goal of April’s Million Mile Month is to engage individuals in healthy living. The Million Mile Month program is simple. Participants complete activity and log the miles or minutes on the HealthCode online activity tracker. Throughout the month the program leaderboard is updated with miles contributed by people all around the world. Since the first Million Mile Month challenge in 2014, the program has expanded as companies of all sizes and individuals from around the world stepped up to take the challenge. HealthCode’s programs focus on raising awareness and educating people on ways they can live healthier, happier lives with a focus on physical activity, nutrition and environment. HealthCode today offers quarterly global activity events with more than 50,000 participants and organizations across all 50 U.S. states and in 30 countries. More than 6 million miles of activity has been logged with projected savings in health care costs estimated at more than $1 million. In addition to April’s Million Mile Month, HealthCode initiatives include iResolve in January, Triathlon in a Month in July and Marathon in a Month in October. 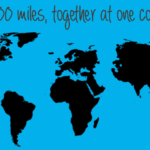 For more information, please visit the Million Mile Month events page at https://events.healthcode.org/events. Texas school superintendents are squaring off to take bragging rights during Million Mile Month. 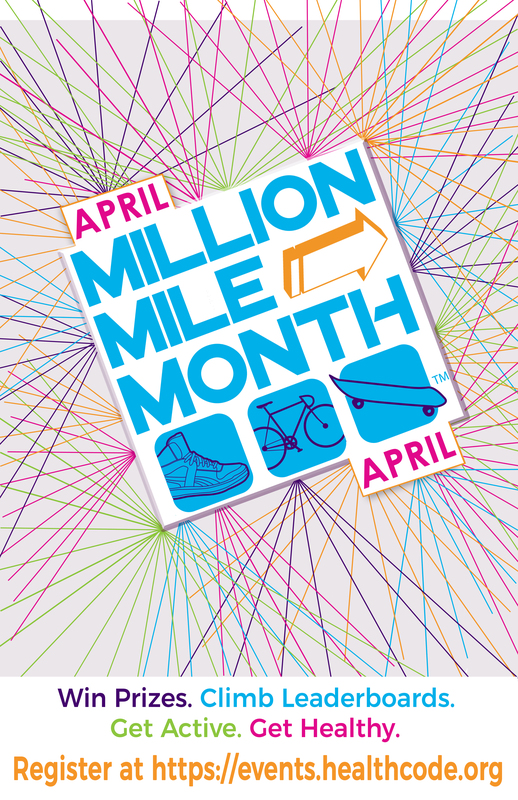 School districts across the nation – including California, Florida, Missouri, New Mexico and Texas — are stepping out for the Million Mile Month challenge that began on April 1. “We will accept your challenge the month of April for Million Mile Month. Our goal will be just over 200,000 miles. So, we hope you are ready because we here in Killeen ISD are certainly ready,’’ Craft said in a video posted on Twitter. School districts are encouraging local communities – including students, teachers, families and friends – to join in the challenge. Whether it is an employer fostering a culture of wellness or an individual wanting to stay healthy and motivated, the goal of April’s Million Mile Month is to engage individuals in the goal of achieving 1 million collective miles of physical activity to stay healthy. In Million Mile Month, participants complete “miles” through the activity of their choice – from walking to swimming to cycling to yoga – and log them on the HealthCode website. During the campaign, the program leaderboard is updated with miles from people all around the world. As of April 26, global participants had logged more than 1 million miles – and counting. Since 2014, more than 36,400 participants from 50 states and more than 30 countries have covered more than 5.5 million miles. Million Mile Month is a signature program of HealthCode. HealthCode’s mission is to empower people to live healthier, happier lives by engaging people year-round through community-focused, goal-based challenges and programs. HealthCode creates activity challenges throughout the year and works with organizations of all sizes to encourage employees to embrace healthy lifestyles. Learn more about HealthCode’s corporate wellness programs here. Follow HealthCode on Facebook and Instagram at @HealthCodeIAM. Follow us on Twitter @HealthCodeIAM and use the hashtag #MMM2018. Are you ready for a million miles? Now is your chance. Registration is now open for HealthCode’s 2018 Million Mile Month. Million Mile Month is an April wellness challenge in which participants track their physical activity – from walking to running to swimming to yoga – with a goal of accomplishing a collective 1 million miles as a global community. Companies and participants can register here. HealthCode’s mission is to empower people to live healthier, happier lives by engaging people year-round through community-focused, goal-based challenges and programs. The program is simple. Participants complete activity and log the miles or minutes on the HealthCode activity tracker. Throughout the month the program leaderboard is updated with miles contributed by people all around the world. How do you get your steps in? Send us your stories. Like us on Facebook and Instagram at @HealthCodeIAM. Or follow us on Twitter @HealthCodeIAM and use the hashtag #MMM2018. Facing a global health crisis related to sedentary lifestyles, IBM teamed with HealthCode to tackle one of the biggest causes of disease today. With a goal of combating a growing health crisis related to obesity while engaging IBM employees and their communities in more active, healthy lifestyles, IBM was one of the early corporations to participate in HealthCode™’s Million Mile Month when it launched in 2014. Million Mile Month is a month-long activity challenge held each April, in which participants around the world track their physical activity – from walking to running to swimming to yoga – with a goal of accomplishing a collective 1 million miles as a global community. When IBM joined Million Mile Month, IBM provided a valued boost to the program. Beth Tracy, IBM corporate citizenship manager, suggested the program extend beyond HealthCode’s home base in Texas and opened it to a global audience. IBM shared registration information on the company’s global On Demand Community website serving its global employee base. Also, IBM provided a local partnership discretionary grant to HealthCode to support enriched health programs and initiatives. 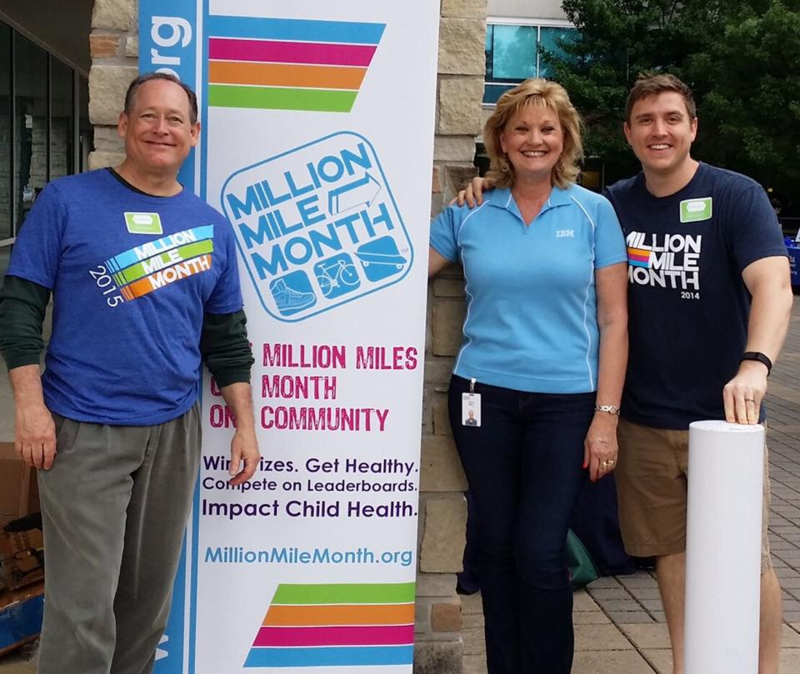 Beth Tracy, IBM Corporate Citizenship Manager, with HealthCode leaders kicking off April 2015 Million Mile Month. The IBM grant enabled HealthCode to develop new features, such as creating a global leaderboard. HealthCode’s programs have seen exponential growth with participants from all 50 states in the United States and from 30 countries. HealthCode’s programs are supported by companies with global employee networks, such as Dun & Bradstreet. 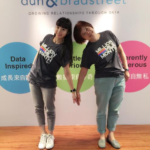 For more information on Dun & Bradstreet’s participation please see their video. Provided support for school districts struck by Hurricane Harvey. Read about Texas Gov. Greg Abbott’s proclamation on Marathon in a Month. Grown to more than 36,400 participants from 200 organizations including school districts, municipalities, state agencies, nonprofits and businesses of all sizes. Generated more than 4.7 million miles of activity, burned more than 334+million calories and potentially saved some $859,000 in health care costs. At the same time, HealthCode events have helped individuals, families, organizations and communities be healthier and more positively connected with others. For more information, please visit HealthCode.org or send us an email at contact@HealthCode.org. With the goal of achieving sustained high performance, more than 1,000 Dun & Bradstreet employees from across the world took collective steps during April’s Million Mile Month. “Movement is a key pillar of our approach to sustainable high performance and has been connected to boosting brain performance,” said Roslynn Williams, Chief People Officer for Dun & Bradstreet. “Dun & Bradstreet, in deep partnership with Tignum – a world leading expert in Sustainable High Performance – fosters a culture of Sustainable High Performance with a focus on four key pillars: Mindset, Movement, Nutrition and Recovery. We enable team members to achieve high performance in both their work and personal life, supporting them to be their best selves,” Williams said. Million Mile Month provides an avenue for employees to stay moving and spark their high-performance mindset. Million Mile Month is a signature program of HealthCode, which is dedicated to empowering people to live healthier lives, free from preventable diseases. 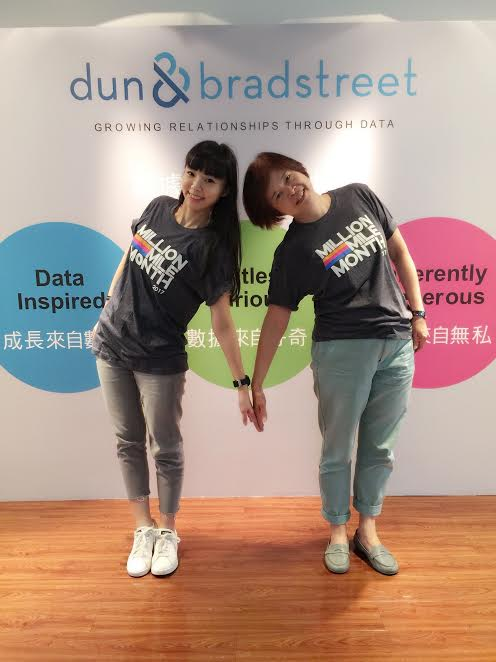 In 2016, Dun & Bradstreet became the first company to participate globally in Million Mile Month with employees from 52 company locations worldwide participating. In 2017, more than 1,000 employees from across Dun & Bradstreet offices across the globe participated in Million Mile Month, completing more than 94,000 miles . Sandra Anne Roth, ER&C and contract SLRM lead support at Dun & Bradstreet, said: “Million Mile Month helped me feel more accountable, improve my focus, and provide me with the drive to achieve my personal and professional goals. On April 1,2016, I started the journey to become my best self by ensuring I completed at least the minimum of 10,000 steps a day. That first month of my journey I exceeded the 100-mile goal and achieved 154.71 miles simply by walking. A year into my journey, I achieved 305.51 miles within the walk/run category. I have completed my last two 5Ks running most of the races and my work performance significantly improved as well. I am grateful to work for a company that invests in its people and for the opportunity to be part of the MMM program. I am looking forward to what next year will bring as I continue my strive to improve and encourage others on the sustainable high performance journey,’’ Roth said. Williams said the company is looking at participating in future HealthCode challenges, including Marathon in a Month in October. As participants gear up for Triathlon in a Month that starts July 1, many are looking to incorporate new activities in their workout routines to stay motivated. Chris Kemp, who swam for the University of Texas at Austin, knows the value of mixing it up. “I actually was a basketball player in high school and turned to swimming while rehabbing from a knee injury. I started competitively swimming my junior year of high school,’’ Kemp said. Kemp quickly gained attention from college coaches and went on the swim at UT, where he was member of two American record-setting relays. He was a 12-time All-American swimmer and won three NCAA Championships while at UT. After Kemp’s swimming career, he coached swimming in the Cayman Islands and Orlando, Florida. Today he coaches a masters swimming program in Austin, Texas. In addition to swimming, after an injury forced him to give up sports like basketball and volleyball, he took up indoor rowing. Kemp plans to participate in Triathlon in a Month and said he supports HealthCode’s mission to empower people to live healthier, happier lives through education and raising awareness of the benefits of physical activity and healthy eating. With a new exercise regime, Kemp advises starting with smaller goals and working up. “I am lucky in that exercise for me is something that I enjoy and love how it makes me feel, especially when I’m done. The mornings I get up to go swim, when I’m leaving the work out all I think about is why don’t I start every day like this? It really sets the tone for the rest of my day and I’m in such a good mood after I finish the workout,’’ Kemp said. He acknowledged, it is a challenge to stay motivated. Participants in Million Mile Month 2017 reported the activity challenge motivated them to exercise more, to eat healthier and they felt more productive at work, according to survey results. HealthCode’s Million Mile Month is a yearly activity challenge to complete one million miles of physical activity collectively as a global community in the month of April. In 2017, about 1.35 million miles were completed worldwide with participants logging miles of activity – from walking to swimming to yoga – on the Million Mile Month website. HealthCode surveyed individuals who participated in Million Mile Month 2017, which ended on April 30. Of 2,484 responses, 83 percent – or 1,948 – said the challenge motivated them to increase their physical activity – whether it was logging more miles, taking longer runs, exercising more days a week or simply getting off the couch, according the Million Mile Month 2017 Participant Survey via Survey Monkey. In addition, some 55 percent – or 1,284 participants – said the Million Mile Month challenge motivated them to eat healthier, according to the survey results. Since 2014, more than 36,400 people have participated in HealthCode’s Million Mile Month, achieving 4.4 million miles of activity, burning 308 million calories and potentially saving an estimated $800,000 in health care costs. Survey participants were asked how they felt after participating in Million Mile Month. A majority of respondents said they felt better and more productive at work. In addition, a majority of survey respondents said participating in Million Mile Month increased their overall satisfaction with their company. In addition, 96 percent of survey respondents indicated they would participate in Miliion Mile Month in 2018. 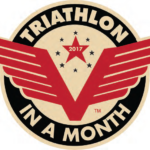 About 26 percent said they would participate in HealthCode’s upcoming Triathlon in a Month that starts July 1. HealthCode’s Million Mile Month 2017 Participant Survey of 2,484 participants was conducted via Survey Monkey in May. For more information on HealthCode’s upcoming global challenges, which include Triathlon in a Month and in July and Marathon in a Month in October visit https://millionmilemonth.org/events. Blue Cross and Blue Shield employees in five states stepped out for healthy living during April’s Million Mile Month. HealthCode’s Million Mile Month is a yearly challenge to complete one million miles of physical activity collectively as a global community in the month of April. In 2017, about 1.35 million miles were completed worldwide with participants logging miles through the activity of their choice – from walking to swimming to yoga –on the Million Mile Month website. 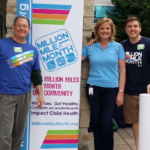 About 1,600 employees from Blue Cross and Blue Shield plans in Texas, Illinois, New Mexico, Montana and Oklahoma participated in Million Mile Month that ended on April 30. HealthCode launched the Million Mile Month in 2014 to help encourage individuals to take an active role in their health. Blue Cross and Blue Shield of Texas has participated with Million Mile Month since its inception in 2014. This year, the company expanded the program across additional Blue Cross and Blue Shield plans, said Alexis Penn, senior health and wellbeing specialist for Blue Cross and Blue Shield of Texas. Health Care Service Corporation, the parent company of the five Blue Cross Blue Shield plans, came in second of organizations on the Million Mile Month 2017 leaderboard with more than 123,000 total miles. Whether it is an employer fostering a culture of wellness or an individual wanting to stay motivated, the goal of Million Mile Month is designed to encourage people to take control of their health and embrace a lifestyle of physical activity and healthy eating. 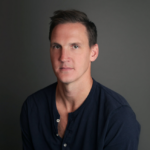 Dan Detar, manager of advertising sponsorships with Blue Cross and Blue Shield of Texas, said the company got involved with Million Mile Month in 2014 as part of an initiative with the Houston Astros to prevent childhood obesity. More than 200 employees participated that first year, Detar said. “It was a fun and easy way for employees to be more active while raising awareness of child obesity,’’ Detar said. Penn said the five Blue Cross and Blue Shield plans are planning to participate in HealthCode’s upcoming challenges this year – the upcoming Triathlon in a Month in July and Marathon in a Month in October. Throughout the year, Penn is encouraging employees to continue to use the HealthCode activity platform to log their activities and stay motivated. School districts from across the nation are stepping out as part of Million Mile Month 2017. HealthCode’s Million Mile Month, which began on April 1, is a challenge to complete one million collective miles of physical activity, together, as a global community. School districts in Texas, California, Florida and Missouri are encouraging local communities – including students, teachers, families and friends – to join in the challenge. Whether it is an employer fostering a culture of wellness or an individual wanting to stay healthy and motivated, the goal of April’s Million Mile Month is to engage individuals in the challenge of achieving 1 million collective miles of physical activity. Participants complete “miles” through the activity of their choice – from walking to swimming to yoga – and log them on the Million Mile Month website. Fort Bend Independent School District Charles Dupre is challenging fellow Texas superintendents to join in the challenge. Lamar Consolidated Independent School District in Texas is encouraging students, teachers, parents, neighbors, family and friends to join the challenge. Since 2014, more than 34,000 participants from 50 states, 36 countries and more than 200 organizations have stepped up to the Million Mile Month challenge. During the campaign, the program leaderboard is updated with miles contributed by people all around the world. For more information, visit https://www.millionmilemonth.org. AUSTIN, Texas (March 31, 2017) – Austin and Travis County officials and business leaders are encouraging the community to embrace healthy living by stepping out in April as part of the global Million Mile Month. Million Mile Month, developed by the non-profit organization HealthCode, is a wellness challenge in which participants track their physical activity – from walking to running to swimming to yoga – with a goal of accomplishing a collective 1 million miles as a global community in the month of April. The Austin City Council on March 23 approved a proclamation from Mayor Steve Adler encouraging the community to participate in Million Mile Month with a city goal of 30,000 collective miles in April. “They say sitting is the new smoking, which is bad news for me when our council meetings last past midnight. Most jobs in America – four in five, in fact – are sedentary. 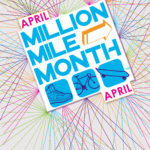 Million Mile Month is a great way to raise awareness of a lifestyle focused on good physical and mental health. It’s time to take a stand – literally – and get moving,’’ Mayor Adler said. Adler joined Travis County and state business leaders for a kickoff of the 2017 Million Mile Month challenge at Austin City Hall. HealthCode launched the Million Mile Month in 2014 to help encourage individuals to take an active role in their health. Travis County employees also are participating and Judge Sarah Eckhardt is challenging other Texas counties to follow suit. “Physical activity and proper nutrition are vital for a healthy life. Let’s take a huge million mile step forward toward a healthier community,’’ Eckhardt said. Austin Independent School District is encouraging staff and families to participate in the Million Mile Month challenge. “We want Austin ISD to be the healthiest, fittest school district in the state. By participating in Million Mile Month, we can stay on track with our fitness goals,’’ said Austin ISD Superintendent Paul Cruz. Since 2014, more than 34,000 participants from 50 states across the United States, 36 countries and more than 200 organizations have stepped up to the Million Mile Month challenge. Since 2014, participants have achieved 3.1 million miles of activity and burning 219 million calories. In addition to helping employees meet health goals, Million Mile Month is an easy program for organizations to administer. Participants complete “miles” through the activity of their choice – from walking to swimming to yoga – and log them on the Million Mile Month website. During the campaign, the program leaderboard is updated with miles contributed by people all around the world. For more information visit http://millionmilemonth.org/. Million Mile Month – developed by the non-profit organization HealthCode – is a global wellness challenge in which participants track their physical activity – from walking to running to swimming to yoga – with a goal of accomplishing a collective 1 million miles. HealthCode is dedicated to empowering people to live healthier, happier lives through education and raising awareness on the benefits of physical activity, nutrition, the environment and community connections. For more information visit https://healthcode.org/. We are creating healthier people and communities by raising awareness, educating people year-round, and putting on community-wide, goal-based challenges and programs. HealthCode™ Copyright ©. All Rights Reserved. HealthCode™ is a 501(c)(3) under federal tax guidelines.